Summer is now upon us and the heat index will certainly rise. I hope you will have an enjoyable summer enjoying barbeques and other fun activities with family and friends. We plan to take part in the fun ourselves. This letter will provide you with an update of some recent additions to our staff as well as an update on markets and the regulatory environment we find ourselves in. In addition, I will mention a few things that some of you may find helpful in reducing and or eliminating your tax burden. I am pleased to announce that we have hired a new associate, Mr. Jacob Bierstedt, who has joined our team, effective June 1, 2017. Jacob is a young professional who is passionate about the financial planning industry and is dedicated to meeting the needs of our clients. Jacob holds the professional designations of CERTIFIED FINANCIAL PLANNER™ (CFP®), and Chartered Financial Consultant® (ChFC®). He holds his series 7 and 66 securities licenses with LPL Financial. He also holds a life, health, variable annuity and variable life insurance licenses. He holds a Bachelor of Science degree from Brigham Young University-Idaho in Business Management with an emphasis on Finance and Supply Chain Management. Jacob's primary role will be that of LPL Registered Sales Assistant and Paraplanner. He will help support advisors in preparing financial plans as well as managing the trading responsibilities for client accounts. We are excited to have him on our team. In previous communications I have mentioned our office assistant Taylor Cook. Taylor has been with us just under a year and has been responsible for many of our office duties such as scanning and filing documents and assisting our office manager, Susan Day, with her many responsibilities. We are now elevating Taylor to be our Director of Marketing in addition to her responsibilities that she is currently handling. She is very competent and is willing to take on new challenges and responsibilities. On a personal note, we want to congratulate her on her recent marriage to Austin Rowe. The newlyweds were married on May 12th. Susan continues to manage the office and provide administrative support to advisors with client account set-up, and servicing needs on those accounts. Her 18 years of service to our business and to your needs, provides valuable stability to our practice. On a final staffing note, last year I indicated that we hired Morgan Baum, a financial advisor with 20 years of industry experience to work in The Investment Center at CCCU. We began offering financial services at the Clark County Credit Union a number of years ago under the name of The Investment Center at CCCU which helps members of the Clark County Credit Union with their investment and financial planning needs. At your leisure, you might want to check out our new website for The Investment Center at CCCU. Here is the link: http://www.investmentcentercccu.com. Morgan's primary office is in the credit union's Tenaya office. He will also meet with members at the Henderson CU branch. Last year the Department of Labor (DOL) passed a resolution that affects financial advisors and their firms who provide investment advice on retirement accounts for their clients. The rule requires financial advisors to act in the “best interest of the client” and therefore, is considered to be a fiduciary under the rule. An investment fiduciary must disclose all conflicts of interest and ensures that the client's needs come first. It has always been my objective to act in the best interest of my clients and I feel we have been fairly good over the years at meeting that standard. You have and will receive communications from LPL regarding this new rule. You may have also heard news reports about this over the last several months. Essentially, the DOL rule addresses the need to provide not only advice that is in the client’s best interest, but it also requires a levelized compensation to the advisor. This essentially means that fees the client pays for the management of their retirement accounts be level, which is usually best served in an "advisory" account instead of a "brokerage" account. In an advisory account, the client would pay a fee for advice and management, whereas in a brokerage account, one usually pays a commission for advice and management. We have clients in both advisory and brokerage accounts and our brokerage accounts are usually structured so that fees are level through the internal operating expenses of the funds we recommend. In an advisory account the client’s fees are deducted directly from the account instead of through the operating expenses of the respective investments held in a brokerage account. 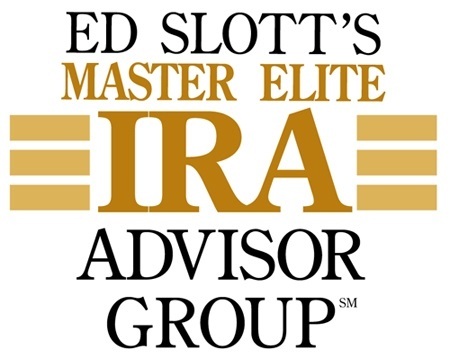 In order to provide a more efficient client experience, and to better comply with the DOL ruling, we are recommending that most of our retirement accounts be transitioned into advisory accounts. We have spoken with many of you about this already, and have transitioned a good number of accounts already. We will be attempting to establish review meetings with others in the coming weeks. We want to make sure that your options are made clear so that there is no misunderstanding. Don't hesitate to call the office and schedule a review meeting. U.S. financial markets have appreciated since the November 2016 election. Some of the appreciation is anticipatory of congressional approval of policies that could have a positive effect on the economy, such as corporate and personal income tax reduction. We will see how this plays out over the coming months. But, the primary reason for market appreciation is corporate profits. For the most part they have been quite positive. I would anticipate that this will continue. We of course do not make predictions on where the markets may be tomorrow, but there will always be quality companies that are producing goods and services that all of us need and use. As you know, one of our primary objectives is to generate income from as many sources as possible. Income, in the form of a dividend, is a "real" return. We will continue to emphasize investment strategies that focus on income production. If you are over 70 1/2, you have to take required minimum distributions (RMD's) from your IRA's each year. If you don't take the RMD, then you are subject to a 50% penalty on the money you should have withdrawn plus the income tax associated with the withdrawal. There is a little known policy in the tax code known as the Qualified Charitable Deduction or QCD for short. This provision allows you to withdraw money from your Traditional IRA in the form of a charitable gift and the withdrawal is TAX FREE and it also meets your RMD requirement. To qualify, you have to be 70 1/2 or older, and the withdrawal check needs to be made payable directly to your church or charity. Nondeductible contributions to IRAs, or Roth IRA contributions, aren’t eligible for QCDs as they are considered a tax-free return of basis. Most of you who are over 70 1/2 probably would not withdraw money from your IRA if you didn't have to. In addition, most of you make regular contributions to a church or charity every year as well. By taking advantage of this little known tax provision, you can still satisfy your RMD requirement but not be subject to tax on the withdrawal. The IRS limits the QCD withdrawal to $100,000 each year. Those of you who are subject to RMD's should seriously consider taking advantage of this tax feature, particularly if you are making regular contributions to your church in the way of tithes, or if you normally make contributions to your favorite charity. I am looking forward to having you interact with our new staff and we are looking forward to implementing new strategies and processes that will assist us in being more attentive to your needs and more efficient in our processes. Have a wonderful summer. Please call us to schedule a review meeting and expect to begin hearing from my office on a more consistent basis going forward. Our new staff is going to help us meet those objectives. Here at Dixon Financial Group, we do our best to personalize our clients’ experience throughout the investment process. Please take a few moments to complete the enclosed questionnaire we have created to learn more about you, our client. The survey takes about 10 minutes to complete. Some of the questions may be redundant, but please complete the questionnaire in full so that we may keep our records as up to date as possible. Upon completion of the questionnaire, please mail it back to us via the provided return envelope. Thank you. predicted and there can be no guarantee that strategies promoted will be successful. Investing involves risk including loss of principal. The payment of dividends is not guaranteed. Companies may reduce or eliminate the payment of dividends at any given time.